Great American Bites: Is this New England's best lobster roll? 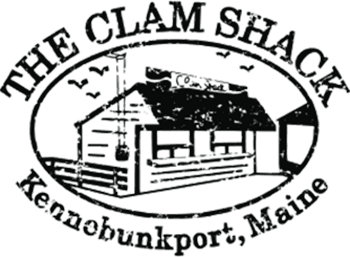 The Clam Shack has garnered national attention in the media with its award winning menu and timeless location. With a no frills selection of perfectly prepared summertime fare served from a classic seafood shack perched over the Kennebunk River, the Clam Shack has been written about in the New York Times, Boston Globe and USA Today, as well as many regional newspapers. Our lobster roll was the Maine winner for USA Today’s 50 Great Plates From 50 States. Magazine citations and mentions are numerous and include Gourmet, Coastal Living, Martha Stewart Living, Every Day with Rachel Ray and Travel and Leisure. Print media awards have been given to the Clam Shack in many "Best Of" categories ranging from best lobster roll to best clam shack to best atmosphere, and a unique favorite: "best bastion of humility in a town of ostentation…" (Coastal Living). Clam Shack recipes grace the pages of specialty cook books (and special interest ones like The Bush Family Cook Book) and travel guide books (Road Food; 500 Things to Eat Before It’s Too Late) list it as a destination of its own.